Fairytale Brides are at your service from the moment your step through our door. Our bridal shop aims to provide a complete shopping solution for all your Bridal & Wedding needs. Serving brides throughout Manchester, Bury, Bolton and Heywood, as well as national and international brides to be. 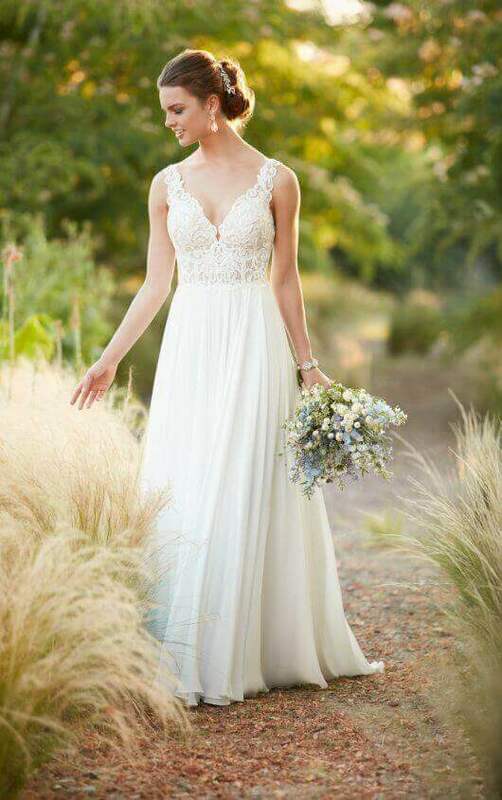 Our wedding dress range includes famous designers such as Hayley Paige, Justin Alexander, Essense of Australia, Martina Liana, Blush, and Tara Keely, with prices starting from £700. In addition to our collection of Bridal dresses, we also offer a comprehensive selection of bridal accessories including, Veils, Tiaras, and more. Please come and visit us and enjoy a coffee in our specially created changing rooms with fabulous wall to wall mirrors; perfect for viewing your wedding dress from all angles. If you have any queries before you come, please do not hesitate to contact us. We will be very happy to advise and help you at all times. 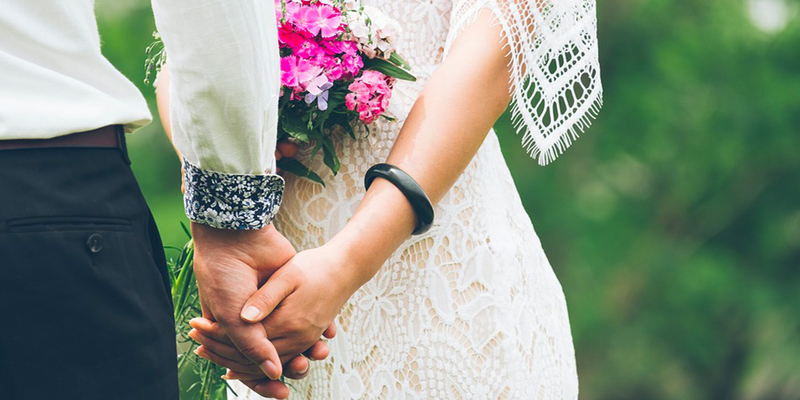 Everything we do at Fairytale Brides is designed to give you the best day of your life. Visit our stunning bridal boutique and discover a range of quality bridal wear that isn’t expensive, it’s priceless. Click here to see our Hayley Paige collection. As one of the oldest and most renowned designers within America and Europe, Justin Alexander knows how to create the perfect wedding dress. With over sixty years experience Justin Alexander are experts in the wedding industry, meeting the needs of brides all over the world. Two of the biggest influencing factors remain at the heart of any Justin Alexander design; romance and classic style. Each dress has a contemporary look with a hint of vintage glamour. Channelling the famous styles of Grace Kelly, Audrey Hepburn and Jackie Kennedy, each dress is timeless in beauty and style. Click here to view our full Justin Alexander & Justin Alexander Signature collections. The instantly recognisable Essense of Australia label has been a bridal favourite for many years. With lush designs that encapsulate the true meaning of glamourous bride, Essense of Australia have long held the title of exquisite wedding dress designer. With a look that is entirely their own, Essense wedding dresses feature that wow factor brides are looking for. With luxurious lace, divine detail and head-turning necklines, this designer certainly know what brides want. What’s more, Essense of Australia wedding dresses are perfect for destination weddings. Many of their wedding gowns feature light-weight material and detail which is guaranteed to sparkle in the sun. Click here to view our full Essense of Australia collection. The Martina Liana label truly does represent what it means to be a modern bride. With a collection that is perfect to behold, you are sure to find a little something within this stunning designer range. Head designer, Martine Harris has created a label which demonstrates attention to details and a near obsession with a clean look and modern silhouette. Featuring some of the most luxurious materials; including delicate lace, soft silks and stunning crystals, the entire Martina Liana range is amongst the most sort after for brides today. Click here to view our full Martina Liana collection. For those familiar with the award-winning Hayley Paige label, Blush by Hayley Paige is a unique collection from the creative minds behind Hayley Paige. The entire Blush by Hayley Paige bridal range has been designed to encapsulate casual elegance and femininity. Featuring elements such as silky soft tulle, unique lace, and delicate tones, the Blush range creates a feel of whimsy and romance. Always a firm favourite on the likes of Instagram, the Blush by Hayley Paige label has captured many fans from around the world and continues to stun brides with its ever-present and yet completely unique collection. Click here to view the entire Blush by Hayley Paige collection. The wonderfully unique Tara Keely bridal collection by world-renowned designer, Lazaro Perez is as beautiful and it is versatile. Inspired by feminine silhouettes and soft alluring fabrics, this one-of-a-kind designer wedding dress range features interchangeable bodices and skirts to create the perfect look for any bride. By combining detailed laces, lush tulles, and accents of shimmering sparkle, the Tara Keely range offers brides the ideal romantic vision. The wonderfully adaptable Tara Keely wedding dress collection is perfect for a modern, elegant bride who wishes to embody an effortless beauty and timeless sophistication. Click here to view the entire Blush by Tara Keely collection. The beautifully sensual Lillian West Bridal Label has been lovingly created by the masterminds at Justin Alexander. Designed to encapsulate a sensuality that only a wedding dress could, the Lillian West collection is perfect for a graceful, elegant look. Inspired by passion and beauty, this extremely popular designer wedding dress label features intricate lace, the likes of which cannot be replicated. 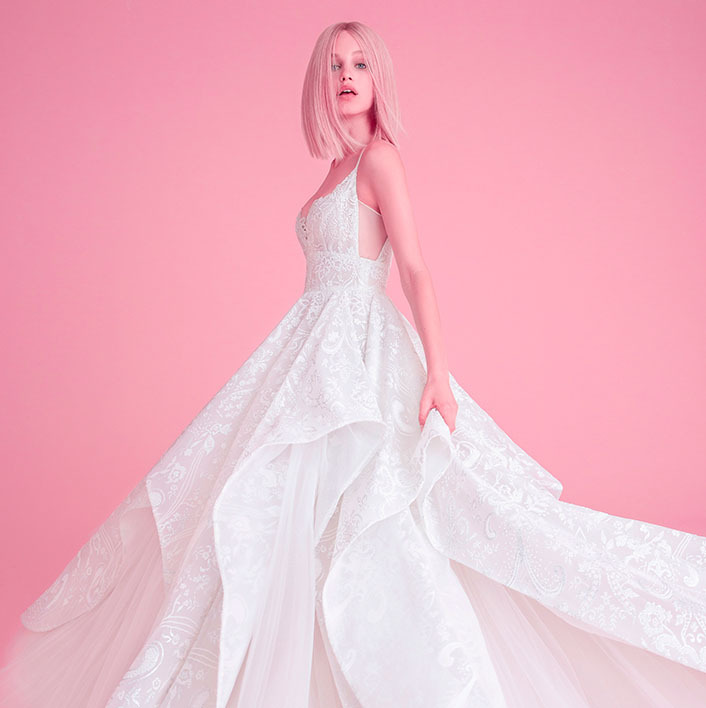 By using uniquely patterned laces, lush silks, and accents of soft femininity, the Lillian West wedding dress collection gives brides the ideal vision of effortless sensuality. The stunning Lillian West wedding dress range is perfect for an uncompromising, graceful bride who wants to demonstrate elegant sophistication. Based in Whitefield, Manchester, Fairytale Brides are passionate about all things bridal. A bridal shop with tons of gorgeous wedding dresses to suit every body shape, including a bespoke changing area complete with floor to ceiling mirrors, we also stock a wonderful collection of bridal accessories, including tiaras and veils. I found my dream dress thanks to Fairytale Brides and could not fault the service from start to finish. Carol and the girls made me feel so special and nothing was too much trouble for them. Unlike other shops they seemed interested in me as a bride and not selling a dress. I needed some minor alterations due to weight loss to which I was a little bit nervous, however the service provided was excellent and my dress was completely flawless. Jodie.